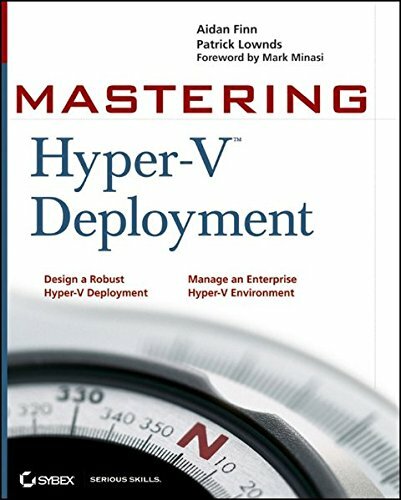 The only book to take an in-depth look at deploying Hyper-V Now in its second generation, the popular Hyper-V boasts technical advances that create even more dynamic systems than ever before. This unique resource serves an authoritative guide to deploying Windows Server 2008 R2 Hyper-V comprehensively. The only book to take an in-depth look at deploying Hyper-V Now in its second generation, the popular Hyper-V boasts technical advances that create even more dynamic systems than ever before. This unique resource serves an authoritative guide to deploying Windows Server 2008 R2 Hyper-V comprehensively. Step-by-step instructions demonstrate how to design a Hyper-V deployment, build a Hyper-V host environment, and design a management system with System Center Virtual Machine Manager 2008 R2. * Features real-world examples that show you how to design a Hyper-V deployment, build a Hyper-V host environment, and design a management system * Walks you through incorporating System Center Operations Manager 2008 R2, System Center Data Protection Manager 2010, and System Center Essentials 2010 * Offers authoritative coverage of Hyper-V security, business continuity, and an array of VM roles, including domain controllers, Exchange Server, SQL Server, and System Center This in-depth guide is the ultimate resource for system administrators, engineers, and architects, and IT consultants deploying Hyper-V.